Pharmaceutical reimbursement historically has largely been a process of first determining the efficacy and safety profile of a therapy and then deciding its ultimate coverage level based on its price. But now, payers are taking a cue from their European peers and beginning to do the sophisticated number-crunching and cost-effectiveness studies to take a more holistic approach to drug coverage. As the U.S. healthcare system continues its steady march to a value-based reimbursement environment, pharmaceutical companies must prepare for what these changes ultimately mean, particularly in the drug development phases. Over the next decade, the movement from paying for usage to paying for value will be driven by multiple factors working together, including payer discontent with drug cost trends (particularly for specialty drugs), increasingly actionable real-world data, emergence of third-party frameworks and assessments that put a value score on drugs, and the opportunities generated by computing power by large technology firms. For decades, pharmaceutical companies in the U.S. understood that they could obtain favorable pricing and reimbursement, undergirded by the country’s free-pricing system as well as public demand for new and innovative therapies regardless of the price to insurers. Payers, particularly pharmacy benefit managers (PBMs), could absorb new therapies through aggressive strategies around generics and rebates, but these strategies are proving less effective in a market dominated by high-cost biologics and specialty drugs. In its 2016 report, PBM Express Scripts noted that the drug trend for traditional drugs was down 1 percent but increased 13.3 percent for its specialty drugs. Prime Therapeutics reported similar figures in its spring 2017 trend report, suggesting again that payers are increasingly strained by drug expenditures for high-cost treatments. While payers have strong control over small molecule therapies, they have proven less powerful when it comes to specialty and biologic therapies, which will likely be exacerbated with scores of new biologics in the pipelines at major pharmaceutical companies. Although a dramatic policy change is not likely for the country’s overall pricing environment (despite occasional saber rattling from President Trump), the laissez-faire culture is coming to an end, with payers increasingly demanding drug companies show the clinical and economic value of their products, particularly those that are in high-priced specialties such as oncology, immunology, and neurology. Already, we’ve seen organizations such as the Institute for Clinical and Economic Review (ICER) take on growing visibility, particularly with its drug assessments. Meanwhile in oncology, organizations such as the National Comprehensive Cancer Network (NCCN) and the American Society of Clinical Oncology (ASCO) have developed their own value assessment frameworks that are intended to drive treatment decisions. To date, these efforts have only had a minor impact on the industry. The United States remains well behind its counterparts in Europe that have been operating national health technology assessments (HTAs) and pharmacoeconomic operations for years, largely because the U.S. lacks the equivalent of the United Kingdom’s National Institute for Health and Clinical Excellence (NICE) and because America’s biggest payers often aren’t large enough to justify the effort to devise sophisticated tools like the ones you would see in Europe. Nevertheless, payers overwhelmingly use some sort of value analysis in examining drugs, according to data from various Access & Reimbursement reports from Decision Resources Group. In many of these cases, surveyed U.S. payers are doing simple cost analysis as they engage in basic negotiations over whether the drug is effective, how much the rebate should be for tiering and restrictions, and whether there is an opportunity to obtain exclusive formulary access. However, some payers are leveraging more sophisticated cost-effectiveness models like cost utility in an effort to better compare drugs. For industry, the choice of model has a titanic impact on the decision-making process. For instance, consider the treatment revolution ushered in by the new generation of hepatitis C therapies. When measured from a cost-effectiveness standpoint, these drugs easily justify their high prices because they add so many years to a patient’s life. However, a payer more interested on a drug’s impact on its pharmacy budget for that year may come to the opposite conclusion as to whether that curative drug is worth the money (particularly if it expects to lose that patient to another insurer in three years anyway). One important stakeholder has been ICER, which has operated as a shadow HTA agency and leveraged some of the same tools from European agencies to measure the efficacy of therapies. Interestingly, this organization has added a pharmacoeconomic component that determines whether the examined drug falls within a defined cost-effectiveness threshold – $50,000 to $150,000 per added life year based on the drug’s wholesale acquisition cost. This measurement is not that dissimilar from NICE’s £30,000 per QALY (quality adjusted life year) that is used to determine whether a drug is cost-effective or not. Although not binding, these reports do serve as guidance for private payers in terms of pricing, despite some criticism from the drug industry over these reports’ methodologies. Meanwhile, some of industry’s foremost provider organizations have rolled out their own frameworks that are laying the foundation for paying for value, particularly in oncology. NCCN, for instance, released a value assessment tool called evidence blocks (EB) that scores oncology therapies on five measures, including affordability. Meanwhile, ASCO released a value framework that examines oncology regimens studied against a comparator in clinical trials; the framework generates a net health benefit (NHB) score based on clinical benefits and toxicity and gives bonus points on other attributes. Memorial Sloan Kettering operates its own framework called DrugAbacus. These efforts are already seeping into the healthcare system. Among the 40 U.S. pharmacy and medical directors surveyed by DRG in October 2017, 88 percent indicated they consulted the frameworks from Sloan Kettering, ASCO, ICER, or ASCO directly or indirectly to aid in reimbursement decisions for anti-cancer therapies. Payers say this work has an influence over reimbursement, particularly around decisions regarding tiering, reimbursement, and the use of outcomes-based contracts. However, knowledge of these programs is not universal. For instance, only 18 percent of oncologists surveyed by DRG said they knew of the NCCN evidence blocks and that they had at least some influence on their prescribing or practices’ policies and guidelines. This suggests that these programs have had muted effect, but are likely to gain in importance as their results become better understood and disseminated. While the value movement would move forward regardless of the circumstances, it is certainly being aided by gains in by technology. Thanks to greater reliance on electronic health records and claims data, payers and outside vendors have greater access to the connection between prescribing and outcomes. This change offers a secondary data source beyond the clinical trial data generated by the pharmaceutical companies and has been latched onto by the industry as the holy grail of real-world data. While the raw data itself can leave much to be desired, the sheer size of the data and fields included opens new analytics opportunities for analyzing and contrasting drugs’ efficacies. Despite its momentum, the use of value frameworks will likely be held up by the fragmentation of our healthcare system. The national insurers typically operate their own internal pharmacy benefit managers, while the regional plans will outsource to the major PBMs. That arrangement creates some visibility challenges for pharma, such as understanding who controls benefit design, who administers claims, and who negotiates rebates. This, again, is where technology enters the picture. Speculation has flooded the pharmaceutical and PBM markets that Amazon may enter the PBM industry, likely through an acquisition of some sort. Nearly everyone agrees that Amazon would dramatically reshape the market, partly through its logistical expertise, but also through acceptance of low profit margins to spur growth. What has been largely overlooked is Amazon’s computing power and its forays into artificial intelligence. In theory, Amazon could enter the PBM space and operate just as any other PBM, negotiating on pricing based on its size. However, Amazon could leverage its technology, particularly its efforts in artificial intelligence, to measure the value of a drug, determine the appropriateness of a patient for a given drug, as it does with its other online shopping capabilities, and generate an appropriate price for a drug for a given patient. If this technology advances, providing a baseline for comparative efficacy would also create the foundation for true pay-for-performance initiatives. The movement to paying for value is still in its early days as it relates to the pharmaceutical industry. 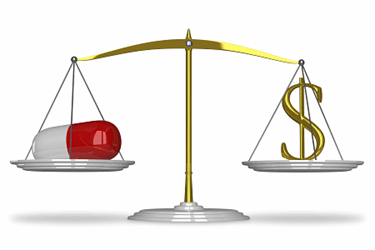 Payers already pay for drugs that are deemed effective by clinical trial data, but changes underway in the healthcare market overall – from cost trends to payer desires to technological advances – should propel this movement forward and perhaps give rise to the greater use of incremental cost-effectiveness ratios. Companies preparing for this transition should devise their clinical trials to better reflect the real-world efficacy while working with payers/third-party reviewers to guide how assessments are conducted. In practice, this means getting payer feedback when choosing the correct comparator for late-stage trials. For instance, payers may view a blockbuster drug in an immunology indication that is currently the standard of care to not be the best comparator for emerging therapies, but rather prefer another therapy that is likely to be seen as the standard of care in three years’ time. Industry should also enhance the ability to segment outcomes data by additional subpopulations (e.g., prior treatment experience or other metric) to give payers greater visibility into the true efficacy of a drug. Most importantly, companies must prepare for more data-driven questions on whether their drug is truly worth the price. Roy Moore is principal director of Global Market Access Insights for Decision Resources Group (DRG). In this role, he oversees DRG’s global market access team, including the Global Market Access Solution platform and the syndicated Access & Reimbursement reports. He has been with DRG, and earlier DRG’s HealthLeaders-InterStudy brand, for 11 years; prior roles include those as an analyst and product manager. Moore holds an MBA from Vanderbilt University and a bachelor’s degree from Middle Tennessee State University. Previously, he was a business reporter covering the healthcare industry.